Light floods into this impeccably maintained custom Carter-Bros built home. Over 2000 ft of open livable space located on quiet cul-de-sac in gated SandPines that backs up to green space & golf course. 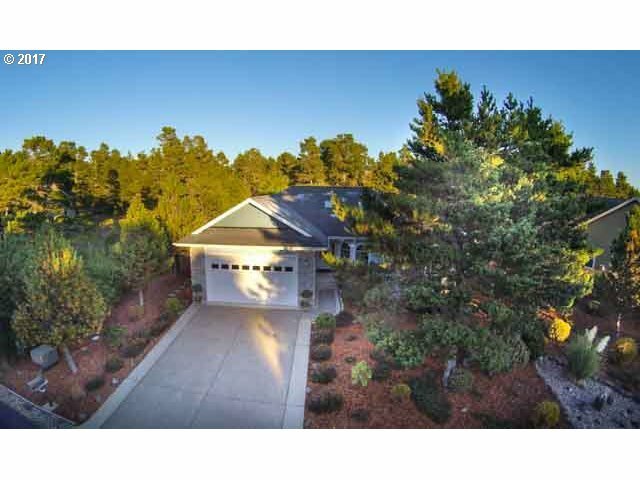 Living area features river rock fireplace, hardwood floors & opens into heated sunroom. Formal dining/office. Kitchen has eating bar & dining area. Lg laundry room. Spacious master suite w/2 w/i closets, oversized tub/shower & sauna.